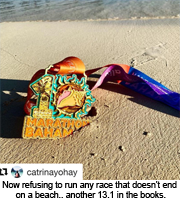 For the past ten years, Marathon Bahamas has attracted thousands of participants from The Bahamas and Internationally. 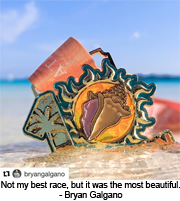 Being a part of the Marathon Expo, which was a sold-out event in 2015, 2016, 2017 and 2018, enables your company to be affiliated with one of the fastest-growing sporting event in The Bahamas as well as the world. Through this event, your company will reach thousands of enthusiastic runners and their families and friends representing a passionate and loyal base of individuals who know a quality product when they see it. Partnerships with sports, arts, entertainment, causes and other organizations offer brands an infinite landscape from which to engage in new, creative, intuitive and energetic ways. We invite you to be a part of this event. 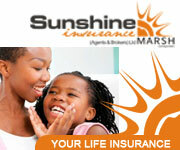 It is a tremendous opportunity to build brand loyalty and attract new customers. The Expo is held in conjunction with the Marathon, Half Marathon, and Relay. The 2020 event is expected to draw more than 1,000 runners, spectators and volunteers to the area for the weekend. Prime opportunity to be in front of motivated buyers. The Expo is the EXCLUSIVE packet pickup location for all races. 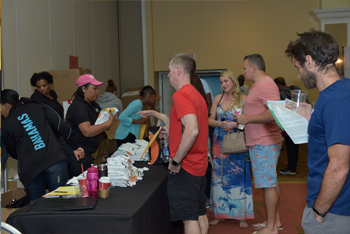 WHY EXHIBIT AT THE MARATHON BAHAMAS EXPO? Introduce new products and services to your demographic audience. Interact with runners and motivated consumers on a personal level. Every registered runner will attend the event. *All booth/bag reservations must be accompanied by full payment. Exhibitors will receive email confirmation upon receipt of payment. Additional information, directions and load-in will be sent out approximately one week prior to the Expo. The Exhibitor agrees that all displays will be set up no later than 12:00 pm on Saturday, January 18, 2020. Breakdown and move out will start at the conclusion of the Expo at 7:00 pm on Saturday, January 18, 2020. Exhibitor agrees to be open and staffed for the duration of the Expo. Early departure could result in additional fees. Exhibitor agrees that their display will not intrude on aisles or adjacent Exhibitors. No refunds will be made to Exhibitors who fail to occupy space. Exhibitor is responsible for the cost of moving in and out and is liable for any damage caused to the exhibit space in connection with their exhibit. Booth assignment may not be transferred in any manner. Marathon Bahamas Expo Committee reserves the right to make any last minute changes of booth space. Marathon Bahamas is not responsible for vendor profitability.